Building engineering has a clear path to advancement. If you work hard and stay persistent, you should be able to rise in the commercial real estate industry quickly. Whether you start off with the title of maintenance helper or assistant building engineer, the duties are often similar for an entry level candidate. Specific certifications for this position include previous experience or education in electrical, HVAC and plumbing maintenance. Broader skills that may be helpful at this level include communication and interpersonal skills, adaptability and the ability to self-motivate. 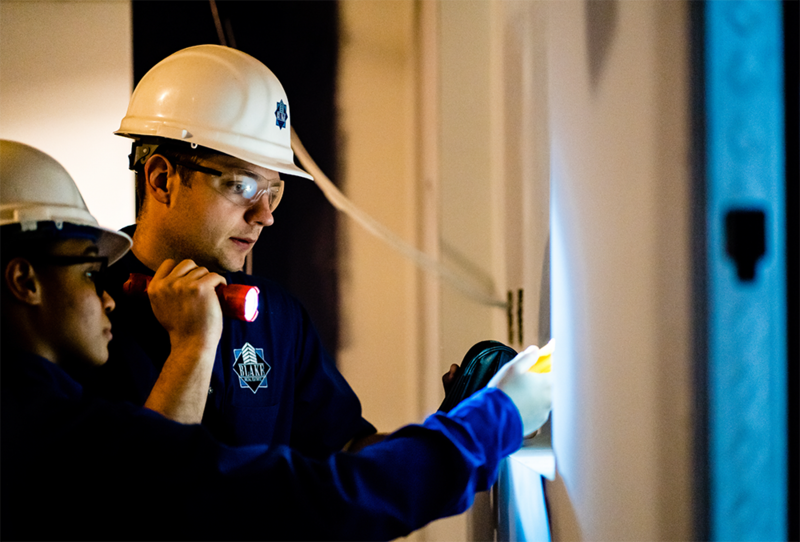 After a few years in the field, you’ll rise to maintenance mechanic or building engineer. New skills include operating a high pressure boiler operating system, and acute knowledge of fire safety protocol and project management techniques. You’ll grow your leadership and management skills, and help lead a small team by decision making, problem solving, and leading by example. At this point in your career, you’ll be working toward a lead engineer, chief engineer, or regional management position. After leading a small team, you’ll be qualified to lead larger operating team and handle more big picture tasks. You’ll be expected to have intimate knowledge of local and national building codes, sustainability and energy management, as well as HR and due diligence. Soft skills include strategic thinking and project coordination, the ability to teach and train small teams and new engineering professionals, and analytic/budget skills. As a Vice President, Director, or Operations Manager, you’ll be expected to present to various executives, develop contract administration skills and financial management skills. Through your years of experience, you’ll be able to create best practices for small teams and the business as a whole, asset management and big picture things. A team of qualified professionals works together to ensure the integrity of every commercial building in the Washington, DC area, meaning the key to a successful career in building engineering is the ability to work well with a team. Being able to work as a member of a team — and to be able to step up and lead on a project or activity — is critical to the success of any career. Working with one or more mentors who have achieved success in the industry and can guide you as you figure out your career path.